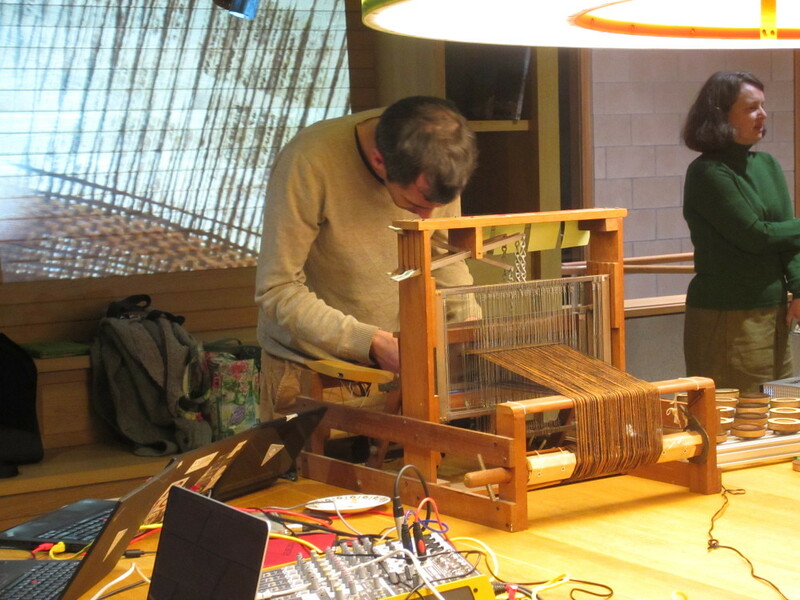 In 2015 the Weaving Codes:Coding Weaves project was a chance to investigate building new forms of hardware, making tangible programming interfaces, taking the long view on technology and investigating other digitally based societies, such as the Inca with their Quipu knot databases. This work has fed into so many new projects that it's great to be able to announce our participation in the new Penelope Project again working with Ellen Harlizius-Kluck, Flavia Carraro, Giovanni Fanfani and Alex McLean for a much longer, in depth development of this research until 2021. We will be building new tools to help understand the ancient weavers mind, how she calculated and created her patterns and looking at how certain forms of technology define our relationship with the world. In classical times it was weaving, today we understand ourselves and our society using computational metaphors - themselves rooted in textile technology. As well as designing and building a new generation of physical, tangible programming devices - FoAM Kernow will be working on livecodable robots, able to weave on the same design of warp weighted looms as used in antiquity in ancient Greece. These will be developed for exhibition in Munich at the Deutsches Museum - the world's largest science museum, and the Munich Museum for Plaster Casts, the site of our first weavecoding performance/workshop last year.